The body language evident during the presser by Obama and Netanyahu on November 10, 2015 was stunning. Netanyahu had come to the US, ostensibly to talk about the US aid treaty due to end in 2018, but just why it was necessary to begin talking about that NOW was unclear. Obama was ascendant, in charge, clearly the alpha dog. 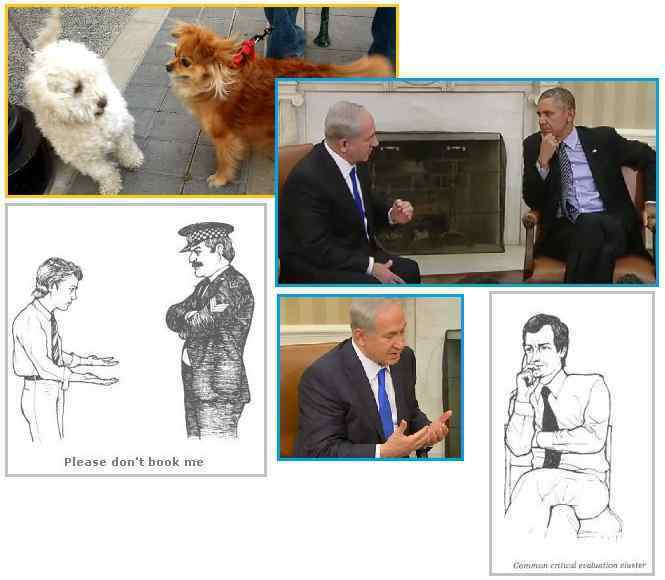 Netanyahu was a supplicant, pleading. What happened? The Zetas explain. Israeli Prime Minister Benjamin Netanyahu assured U.S. President Barack Obama on Monday that he remained committed to a two-state solution to the Israeli-Palestinian conflict as they sought to mend ties strained by acrimony over Middle East diplomacy and Iran. Meeting Obama for the first time since the signing of the Iran nuclear deal, Netanyahu said he backed a vision of “two states for two peoples,” but maintained that any Palestinian state must be demilitarized and recognize Israel as the homeland of the Jewish people, a condition Palestinians have rejected. Patching up relations could help smooth the way for a new 10-year U.S. military aid package, which Obama told Netanyahu he wanted to get a “head start” on negotiating. Israel, Washington’s chief Middle East ally, is seeking a record $5 billion a year, according to U.S. congressional sources. A senior Israeli official confirmed that figure and said a U.S. delegation would visit Israel next month to discuss details of an aid package. Netanyahu leaned forward listening intently as Obama spoke, sometimes nodding. Obama, his legs crossed, sometime cradled his chin in one hand. In 2007, the Bush Administration and the Israeli government agreed to a 10-year, $30 billion military aid package for the period from FY2009 to FY2018. During his March 2013 visit to Israel, President Obama pledged that the United States would continue to provide Israel with multi-year commitments of military aid subject to the approval of Congress. ZetaTalk Insight 11/14/2015: We described the Council of Worlds war against the banking industries reluctant to allow Obama to announce the near presence of Nibiru as a shark moving silently in the water, only visible by its fin. The Council of Worlds war against the banking industry, and by extension Netanyahu, was evident by late 2014 when Netanyahu dissolved his parliament to trigger new elections. He was under pressure to grant the Palestinians their rights, his iron grip on Israel under threat. The bellicose Bibi then came to the US in March, 2015 to lecture the Republican Congress, bypassing the White House, and insisted that the Iran deal under negotiation by Obama be killed. 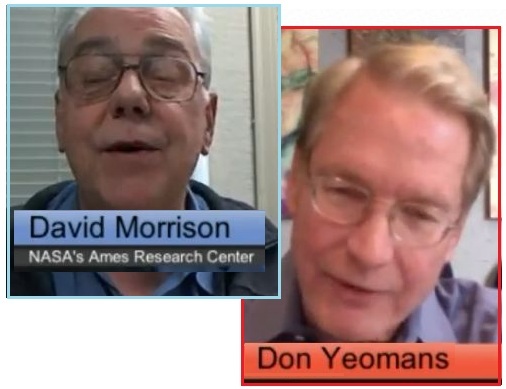 Blood in the water was evident in mid-October, 2015 when the Federal Reserve system in the US came under the control of the US government, not under a set of Jewish bankers. The loss of control over Middle East oil, and the inability to make inroads into the Russian oil fields via Ukraine unrest were a double loss to western banking. China and Russia are now dominant with the BRICS monetary system, and Russia is in charge of cleaning up ISIS in Syria and Iraq, with Iran as a partner. Whatever happened to Bibi Netanyahu’s supremacy? One does not need to be a student of body language to see the revolution. Just this past March, Bibi stole the Israeli election, stating openly that he would never agree to a 2-state solution for the Palestinians. Now he is a supplicant, and the excuse given to the press that they are in negotiations two full years early for a new Israeli aid package is an absurd cover. Netanyahu is not afraid for Israel, which continues to get US military aid. He is concerned about his personal power, as with the rising Palestinian attacks against Israeli citizens, his leadership is being questioned. Thus he wants the US military as an adjunct to the Israeli military, to put down Palestinian uprisings. Crawl and plead as he will, Obama expects him to stop Israeli settlements and grant the Palestinians their rights. Indeed, looking back over the past few years, the turnabout is stunning! 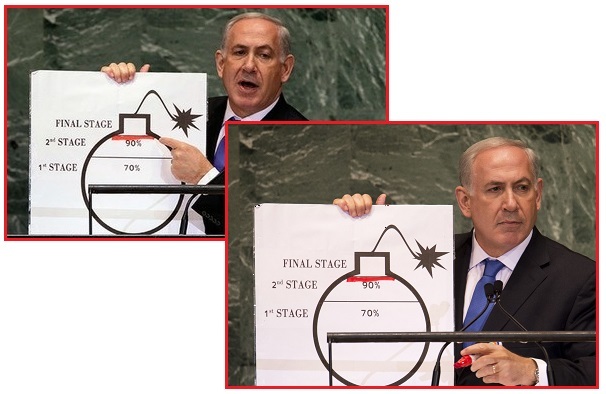 In September, 2012 Netanyahu was lecturing the UN. Iran was on the verge of getting the bomb! This assertion was not true, but he made it anyway. Israeli Prime Minister Benjamin Netanyahu exhorted the United Nations General Assembly to draw "a clear red line" to stop Iran from developing nuclear weapons. Then there was the infamous attempt to assassinate Obama during a visit to Israel in April, 2013. Can anyone forget the incident? Diesel gas pumped into Obama’s petrol fueled armored car. Designed to disable the limo, forcing a change of cars while out in the open subject to a sniper’s bullet. 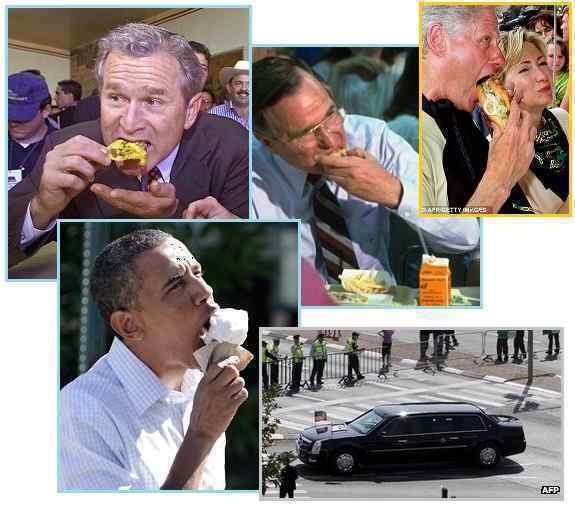 Obama was forced to use a double for many public events after this and other assassination attempts. One of Barack Obama's fleet of armoured limousines has broken down in Israel after being filled with the wrong type of fuel. The car had been waiting for the US president's entourage to arrive when it was filled with diesel instead of petrol. A replacement limousine had to be flown in from neighbouring Jordan. Mr Obama is making his first visit to Israel since taking office. He was welcomed at Ben Gurion airport, Tel Aviv, by Israeli Prime Minister Benjamin Netanyahu and President Shimon Peres. It is believed the limousine had left the airport some two hours previously and had broken down on its way to Jerusalem where Mr Obama was due later. ZetaTalk Answer 3/30/2013: And what of the accidental addition of diesel fuel into Obama’s special bullet-proof limo in Israel? Certainly his staff or entourage did not do this. The limo broke down on the highway, which would have forced Obama to switch cars suddenly in the open, into a vehicle that was not bullet-proof. As with the Republican luncheon, there is no doubt who was behind this, as Obama has pressed Israel’s leaders to stop building settlements on Palestinian land and has refused to go to war against Iran for Netanyahu. Biden, or perhaps Boehner who is next in line, could be assumed to be more cooperative. Then poison gas was used in Syria in August, 2013, after Obama had publicly stated this would be his line in the sand. But was it Assad who did this, or was it the hand of Israel trying to force Obama to engage in another Middle East war on behalf of Netanyahu? Netanyahu did not want the War in Iraq to end, he wanted it to escalate, include Syria, and boil over to a war with Iran. But despite public statements, Obama was not deceived. By December, 2014 Netanyahu was feeling squeezed. The Council of Worlds war against those perpetuating the cover-up over Nibiru was making him nervous, so Netanyahu decided to fire part of his parliament, forcing new elections where he planned to pick up strength. ZetaTalk Insight 12/6/2014: Netanyahu appears to be overreacting, as though he needs to consolidate power before another onslaught. Israel and the banking industry represented by powerful Jews were cited by ourselves as being enemies of the announcement admitting the presence of Nibiru. What can be seen since the Council of Worlds went to war with this crowd is that Israel has been cited at the UN for its possession of nuclear weapons (a fact they have always denied) and their treatment of the Palestinians. European countries are increasingly condemning Israel for their land grabs in Palestine, France recently joining this list. 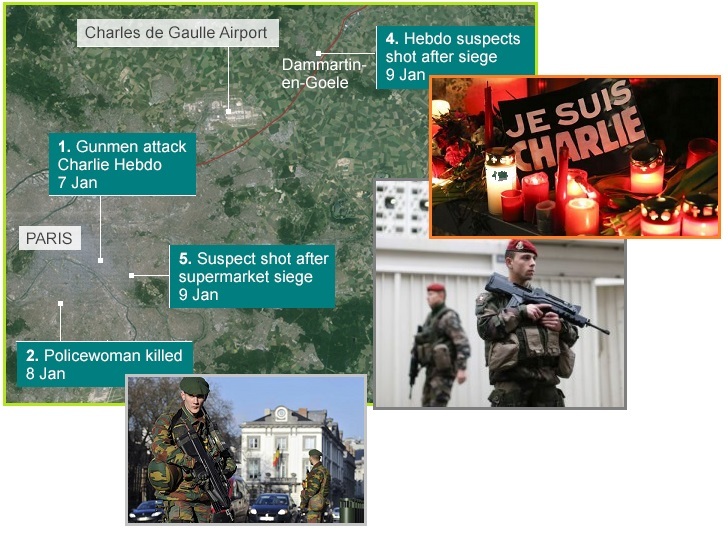 Per the Zetas, the Mossad, under instructions from Netanyahu, was behind the Charlie Hebdo attack in January, 2015. France had just come out in support of the Palestinians, and Netanyahu had made veiled threats. The bizarre way two police commissioners in France both committed suicide shows that this was an inside job, similar to 911, where Arabs were to be the front men but the hand behind the plans, facilitating the plans, was yet another. The police had oddly not investigated the Arab perpetrators, well known to them. Who asked them to look away? ZetaTalk Comment 1/17/2015: In a Europe that is increasingly embracing a Palestinian State, Netanyahu is no longer welcome but is refusing to stay away. ZetaTalk Comment 1/17/2015: Getting the Muslims to attack Jews is an obvious ploy, as now Israel is the victim and the Muslims are the antagonists. This is the ploy Netanyahu uses with Palestine. They squeeze the Palestinians and when someone finally explodes, throwing a rock, Israel invades and snatches yet more land from the Palestinians. That said, why are Police Commissioners in Paris shooting themselves in the head? Once might be a suicide, but for this to happen twice, a year apart, is suspicious. Was the Mossad involved? Who armed the French terrorists? Who arranged for the police to look away when they escaped surveillance during their many trips to and from the Middle East and purchased guns in France? Files disappeared, names were erased from surveillance lists, and money or favors changed hands. As is usual in these cases, those in the know are killed promptly to erase the trail. This is Mossad black ops at the direction of Netanyahu. Then in March, 2015 Netanyahu was invited to speak to the Republican Congress, and bypassed the White House entirely. Obama, in his State of the Union address, had refused to increase sanctions on Iran. How dare he move counter to Netanyahu’s instructions! Whose country is it anyway! US House Speaker John Boehner has invited Israeli Prime Minister Benjamin Netanyahu to speak to Congress on Iran. The move is seen as a rebuke to President Barack Obama's threat to veto any additional sanctions on the country during his State of the Union address. The White House has said it believes new sanctions will be harmful to negotiations on its nuclear programme. ZetaTalk Insight 1/31/2015: Netanyahu is under attack with European countries voicing their support for the Palestinians. Obama is refusing to meeting with Netanyahu in March when he comes to meet with the US Congress. A nervous Netanyahu may assume a scorched Earth approach, until the Mossad has had enough of him. ZetaTalk Insight 3/14/2015: Netanyahu is still trying to sculpt a scenario where the US military secures Middle East oil and he can be the local overseer. Israel has the bomb, and to date no Arab countries do. As Netanyahu loses power, he has become extreme, flying to the US to encourage Congress to ignore and override Obama. He cannot accept that his ambitions will not be realized. On the heels of his trip to lecture the US Republican Congress, Netanyahu was elated to find himself re-elected as Prime Minister in Israel, but not before a very nervous time as polls showed he was not winning. What are the facts? Netanyahu was losing in the polls going into the election, losing in all the polls, and this was the steady trend just days ahead of the election. 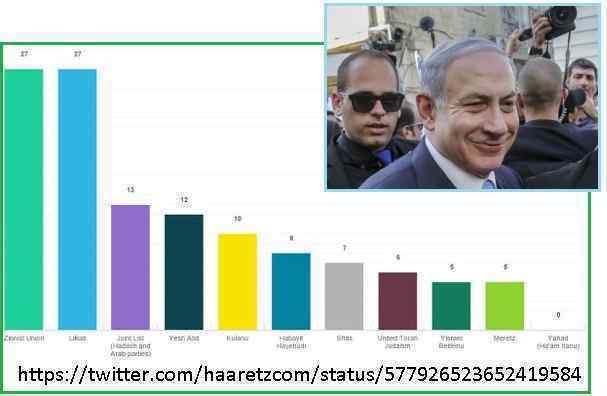 Historically accurate exit polls, taken by numerous Israeli media, showed a tie between Netanyahu and Hertzog, with the Arab coalition next in line. Netanyahu was desperate early in the day on election day, March 17. He was pleading with the ultra-right to help him. He was making firm promises to deny the Palestinians their land rights but to rather increase Israeli settlements. He looked crest-fallen, but then hours before the polls closed, he suddenly brightened and despite what the exit polls showed, declared victory. Per a post-election review, the election was rigged for Netanyahu, the worst case of election fraud Israel had ever suffered. The review’s findings show that a staggering 23.4% of ballots were submitted illegally. “roving gangs” were intimidating voters at various polling stations as well, particularly in districts that showed heavy support for the opposition Zionist Union party, who were running against Prime Minister Benjamin Netanyahu’s conservative Likud party. Approximately 92.5% of the election fraud and illegal activities benefited Netanyahu’s reelection, and the election of Likud party members into the Israeli Parliament. The most we’ve ever seen prior to this was 8%. This is nearly three times as bad as that election was. ZetaTalk Confirmation 3/21/2015: Of course there was fraud. Netanyahu was furious and frantic on election day, but then this was replaced by a confident swagger even before the results swung to his favor, even as the exit polls absolutely showed a tie between he and Herzog. What did he know that his desperation was suddenly replaced by arrogance? Netanyahu would not hesitate to fix an election, and he knew that the fix was in. It was merely a matter of substituting paper ballots. Reduce the pile for another, increase the pile for Netanyahu. How difficult would this be for the Mossad, which is famous for their skill? Those who refused to cooperate could look forward to a painful death or maiming if they refused. Forward to October, 2015 when changes at the Federal Reserve system in the US showed that the Council of Worlds war against the banking industry was making progress. Indeed, the website federalreserve.org was down. 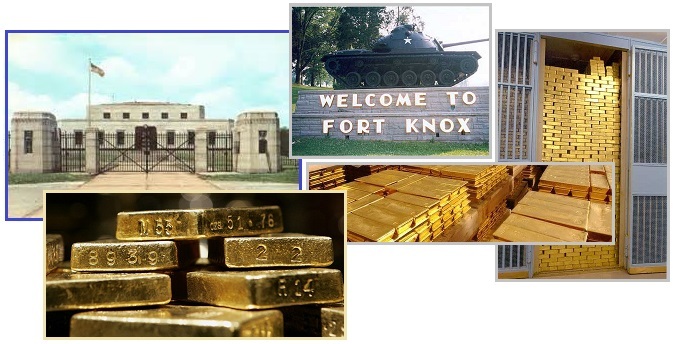 This represented the private management of the Federal Reserve. The US government management of the Federal Reserve, on federalreserve.gov was firmly in place. As the battle of the cover-up rages on, it is impossible for Israel, Netanyahu, control of the Federal Reserve, and control of the oil in the Middle East to be separated. They all want the cover-up to continue. But now, by November, 2015, there is blood in the water! 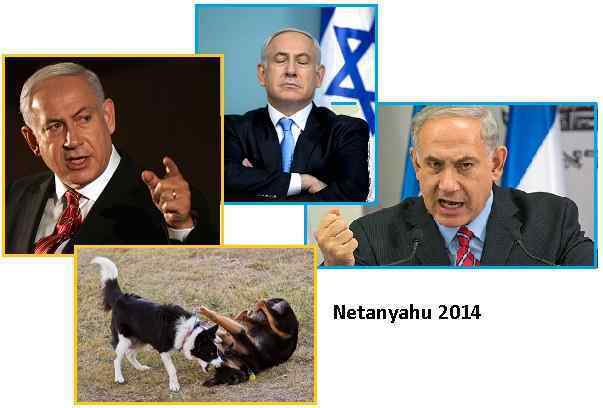 Netanyahu beaten, pleading, the supplicant! 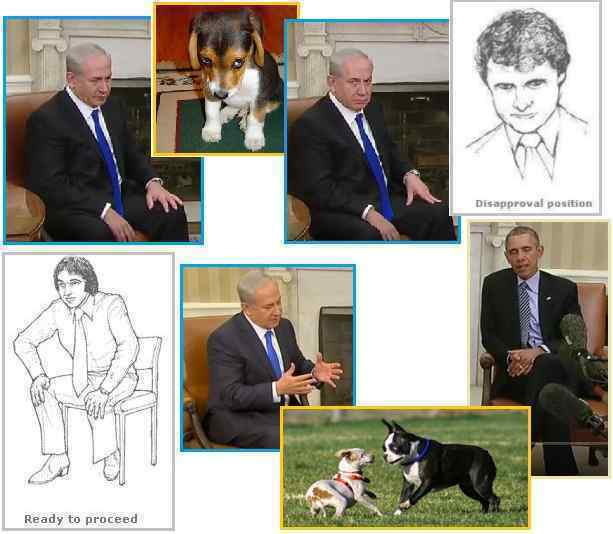 ZetaTalk Insight 10/17/2015: What is going on behind the scenes? Like most quiet revolutions, the public only sees the tip of the iceberg. A shark moving in the water shows itself only by its fin. And thus in this manner the Council of Worlds has destabilized the corruption in control of the western banking system. Matters such as the Swiss Franc unpegging from the Euro and prosecution of banks such as the HSBC are known, but what Fulford is revealing is the extent the western banking system, and Netanyahu by extension, is dependent upon Middle East oil money. Netanyahu wants Iran attacked by the US not because they fear a bomb, but because they want western control of Iranian oil. Due to the cover-up over the approach and near presence of Nibiru, the existence of Nibiru (also variously called Planet X, Wormwood, the Red Comet, the Destroyer, Nemesis, and the Lord), Sitchin, Nancy Lieder, ZetaTalk, and any other honest report about the existence of Nibiru has been debunked. This has taken many forms over the years, a multi-pronged attack. The Zetas explain. One is to ridicule the truth, and this technique was used extensively when the ZetaTalk saga first started in 1995. The proof Nancy offered was the evidence of geological change in the past, every 3,600 years, and even this was challenged with alternative dates for incidences and alternative explanations for the geological changes. The evidence that Nibiru had returned, tracked in along our RA and Dec map until visible in the skies in 2003, was extensively ridiculed by establishment astronomers on sci.astro, and even NASA publically instructed the public not to listen to Nancy Lieder. A second goal of disinformation is to flood the field with false information. This is the current mode, as Nibiru has become so visible that the Internet is flooded with videos and claims. Almost all such Internet offerings are deliberately false, pointing to the night sky or lens flares. A dramatic Moon Swirl has even appeared in the major media, but claims this was merely a reflection were presented simultaneously by establishment lackies. This will continue, even after the announcement admitting that Nibiru exists and is nearby. Always, the Element of Doubt will be presented for the faint of heart to cling to. A third goal of disinformation is to promote alternatives. Nancy Lieder and ZetaTalk may be considered the premiere source of accurate information on Earth changes and the path of Nibiru, but false prophets are constantly being promoted. This was the case in the past, with Mark Hazelwood being promoted on Coast to Coast for his 2003 book, when his description of the coming Pole Shift was entirely plagiarized from ZetaTalk. One by one these false prophets become discredited and disappear, primarily because after they plagiarize ZetaTalk, they cannot maintain the pace. They cannot prophesy. A fourth goal of disinformation is to ignore the truth, to ignore the Earth changes, and use the media for distraction. This trend has been in place from the start, with earthquake frequency and magnitude dumbed down steadily until it is now almost 2 magnitudes points below the actual magnitude , the extent of crop shortages and starvation in the world ignored while the price of food almost doubles, and the incidence of fireballs screaming toward Earth now limited only to the local press. Airplanes dropping from the skies due to EMP will continue to be excused, though the establishment is now taking steps to close the skies. Ignoring the truth will continue apace, right up until the hour of the Pole Shift.